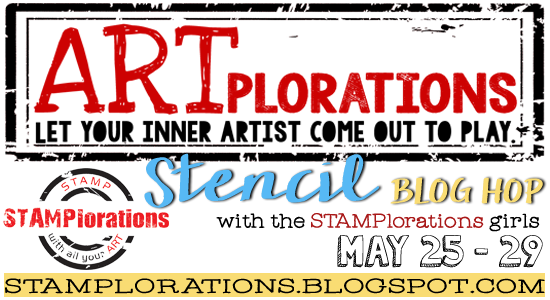 It's Day 4 of the ARTplorations Stencils blog hop. Today and tomorrow we're having something a little different: a Flash Stencil Project Linky Party! 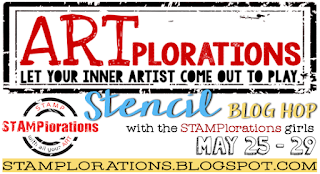 Create a project using stencil/s and link it up here for more chances to win prizes! How fun is this. 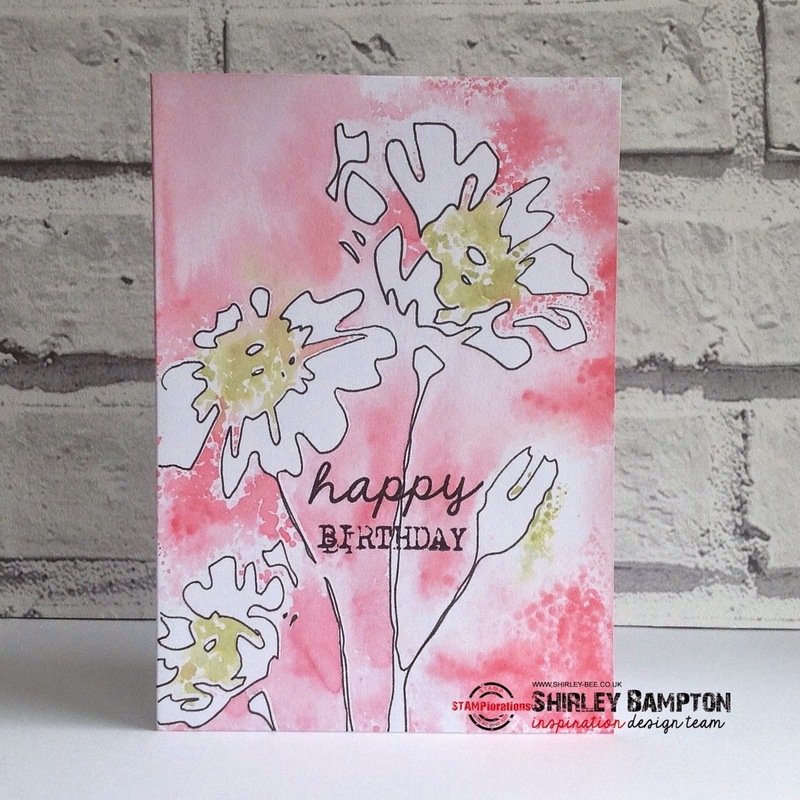 Did you use a fine marker and trace the stencil to create the abstract look? Beautiful card! Love the tracing - it's an old school stencil technique but creates a great look! Oh this is so romantic and ethereal. Wonderful color and design. Gorgeous pnkish-coral inked background! Looks so good with the 'celery green' splashes of color! Love the artsy vibe of this card, simply beautiful! I just love the washed background, so interesting! I love the romantic background and the white happy flowers, Beautiful card. Love those color effects, beautiful! A beautiful background for these wonderful flowers...and your doodling is *the* perfect added touch! This makes my day - so beautiful! So "mod" - really fun! j.
Hmmm - trying to figure out how you made this - it's beautiful and almost etheral. Such an elegant design, your background is amazing!